EXTERNAL Affairs Minister Sushma Swaraj on Tuesday asked Pakistan to return to the family two minor Hindu girls who were abducted, forcefully converted to Islam and married off on the eve of Holi in Sindh province. “Forced conversion of Hindu girls in Pakistan: The age of the girls is not disputed. Raveena is only 13 and Reena is 15 years old. 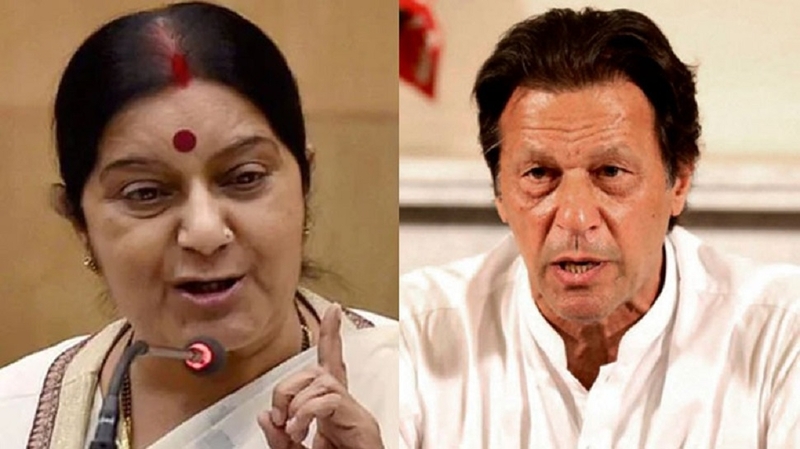 Even the Prime Minister on Naya Pakistan will not believe that girls of this tender age can voluntarily decide about their conversion to another religion and marriage,” Swaraj tweeted referring to Pakistan Prime Minister Imran Khan’s ‘Naya Pakistan’. “Justice demands that both these girls should be restored to their family immediately,” she added. Police on Monday detained at least seven people, including a ‘nikah khwan’ (marriage officiator), allegedly involved in the case. Members of civil society had gathered outside Karachi Press Club on Sunday to protest against the abduction and forced conversion of the two Hindu girls, both sisters, to Islam. The incident came to light after the girls’ father and brother revealed the details in videos that went viral on social media. In a separate video, however, the girls claimed that they accepted Islam out of their own free will. The Pakistan Prime Minister had on Sunday directed that an “immediate” probe be conducted in the case. On the same day, India had shared its concerns through an official note to the Pakistan Foreign Office over the incident. India sought suitable remedial action by the Pakistan Government to protect and promote safety, security, and welfare of its own citizens, especially from the minority communities. 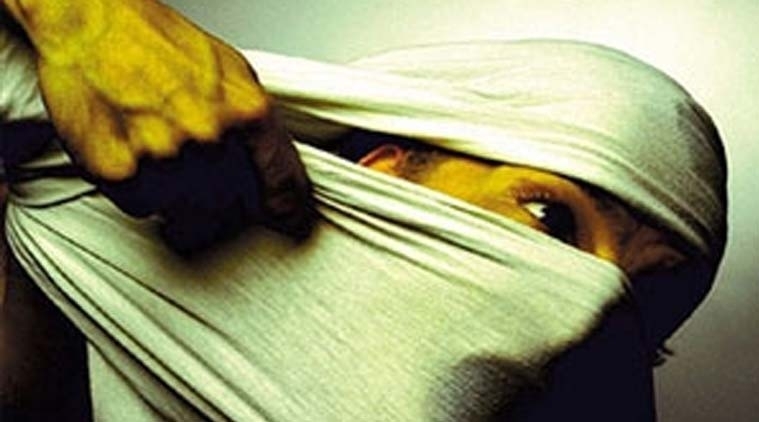 Pakistan human rights activists have claimed that this is another case of forced conversion and abduction, which are becoming increasingly common in the southern region of Sindh. The girls were abduction from their home in Daharki taluka of Ghotki district in Sindh province on the eve of Holi and converted to Islam. Pak HC orders protection to Hindu girls: A PAKISTANI High Court on Tuesday ordered official protection for the two Hindu girls due to concern about their safety as authorities widened a probe to ascertain if the teenage sisters were abducted, forcibly converted and married. The two girls, Raveena (13) and Reena (15), were allegedly kidnapped by a group of “influential” men from their home in Ghotki district in Sindh on the eve of Holi. Soon after the kidnapping, a video went viral in which a cleric was purportedly shown soleminising the Nikah (marriage) of the two girls, triggering a nationwide outrage. The Islamabad High Court issued the order on Tuesday after the petition was filed by the girls and their husbands to seek protection from adverse action. Chief Justice Athar Minallah heard the case about controversy over conversion of the two Hindu girls from Ghotki area of Sindh province and their marriage with Muslim men. A FRESH case of an underage Hindu girl being abducted in Pakistan’s Sindh province has come to the fore, even as uproar continued over the alleged kidnapping, forcible conversion and marriages of two teenage girls from the minority community. According to a handout issued by the Sindh Information Department, Minorities Affairs Minister Hari Ram Kishori Lal took note of a news that went viral on social media regarding the abduction of a 16-year-old Hindu girl, who belongs to the Meghwar community, from Tando Bagho in Badin district. The victim’s father has approached SSP Badin, Sardar Hassan Niazi, to register a case against suspects. It was, however, not clear when the girl was abducted. Lal has directed authorities to register an FIR of the abduction and provide protection to the girl’s family. He said that the marriage of underage girls is banned in Sindh under the Sindh Child Marriages Restraint Act 2013, adding that it was a criminal act to marry a girl who was below the age of 18 years. Lal said that the Act is being strictly implemented in Sindh. The Minister said that his Government was doing everything to protect underage Hindu girls. He said the Sindh Government is working to establish the Sindh Minorities Protection Commission and its draft has been approved by the Chief Minister two days ago. The fresh case of kidnapping comes amidst nationwide outrage over abduction, forced conversion and marriages of two underage Hindi girls in Ghotki district in Sindh. According to official estimates, 75 lakh Hindus live in Pakistan. Majority of Pakistan’s Hindu population is settled in Sindh province. According to media reports, approximately 25 forced marriages take place every month only in Umerkot district in Sindh province.